In the Third Form (year 7) and Removes (year 8) our pupils cover a wide range of fifteen subjects. They are taught in mixed groups for the majority of their subjects, with setting occurring only in maths. Science is taught as a combined subject; modules of physics, chemistry and biology are covered, but the links between the three and the overarching philosophy of how science works are emphasised. In the Third Form our pupils study both a Romance (Spanish) and a Germanic (German) language for the year. When they move into the Removes, they have the choice of two languages from French, German and Spanish (beginners in French may choose it at that point). In addition, all students study Latin in the Removes. All students follow a combined course of technology in their first two years. In the Third Form this includes half a year of design technology and half a year of electronics. In the Removes the course continues with half a year of design technology and, for the other half of the year, they follow an Introduction to computer programming course using the language of Python. 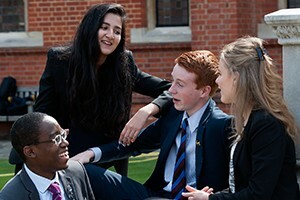 In the Lower Fourth (year 9), pupils continue with at least one modern foreign language and can choose either to continue with Latin or a course in classics. They then have a choice of either a second modern language, including Russian, or another classical subject, including Classical Greek. In addition to this language choice, pupils choose two creative technology subjects from art, drama, design technology, electronics and music. 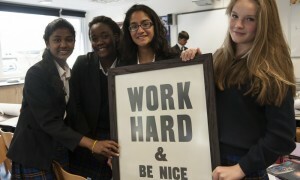 In the last half-term of the Lower Fourth year, pupils begin their GCSE courses. The six core subjects are: maths, English language, English literature, biology, chemistry and physics. It is also compulsory to study one modern toreign language. 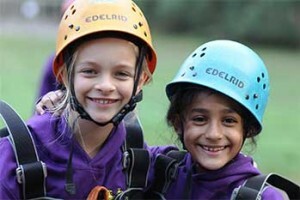 Pupils then choose three further subjects from a list of thirteen options. They have complete freedom of choice in this, with option blocks being designed after pupils’ choice, not before. Students in the top sets for maths follow an accelerated course and sit their GCSE at the end of year 10. In year 11 they continue with maths following an enriched course, sitting the additional maths qualification (FSMQ) at the end of the year.